A Short Autobiography of Ray Geide This thread currently has 4,023 views. On October 1993 I did a stupid thing. I led my wife and three children onto an airplane headed to Russia with no idea where we would lay our heads the next night. As we changed flights in the Atlanta airport, we saw breaking news on the televisions that the White House in Moscow had been bombed. Would we even be allowed to enter Russia? Some ten months earlier, I thought that God had told me to go to Russia, but I could not raise enough money to go. So I went anyway. I sold everything we had and stepped out by faith. Trusting God was not new for me. I had followed Jesus' leading to Bible college and seminary, worked in a couple of churches, and pastored a couple. But I had never done anything like this. 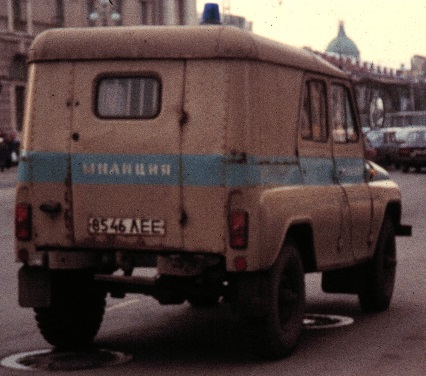 When we stepped off the airplane in Saint Petersburg, Russia, we could feel the oppression. It was cold, drab, old, and rundown. An American missionary met us and drove us out to a southeastern region of the city. 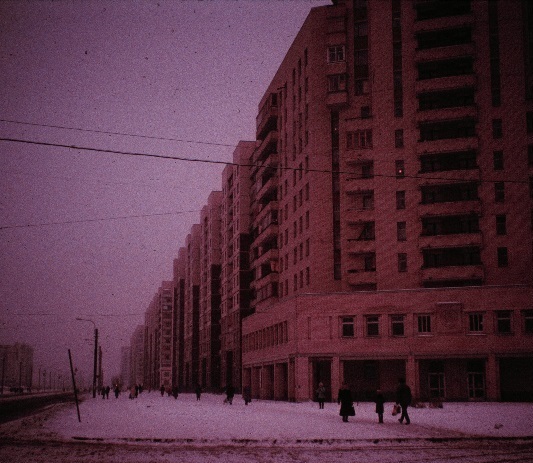 There were twelve story apartment buildings as far as the eye could see. We took an elevator up to the twelfth floor of one of them and were left there all alone. The next morning we started the long task of learning how to live in this foreign land. We lived among the Russian people. They were poor. We were poor. We shopped in their stores. We ate their food. Our children played with their children. We visited them, became friends, and invited them to come to the meetings we had started in the local community center. Sometimes many came. Usually few came. I often wanted to quit. After a few years, I became interested in writing computer software. I found some books on computer programming, studied them, and started experimenting. My first program was an eBook program. I tried selling it online as shareware, but it did not do well. During this time, my computer kept crashing. One Sunday my interpreter told me he had read that one of two files is responsible for Windows 95 crashes. I wrote a program that backed up and restored those two files. The next time my computer crashed, my program had it up and running in minutes. I called the program, WinRescue. When I put it online, it sold well from the very first day. Soon it was financing my family and the ministry. In the summer of 1996 we implemented the AWANA program into our midweek meeting. 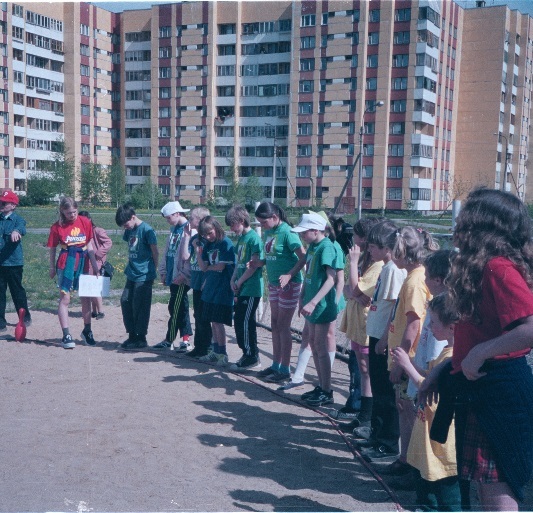 It was the first AWANA club in Russia. After that the community center refused to rent bigger rooms to us, so we moved our meetings to our three room apartment. Soon our apartment was packed on Sunday mornings. Imagine 70 people in your living room. On Friday and Saturday evenings, our apartment was a hangout for teenagers. I became a father to many wayward teens. One afternoon, there was a loud knock at our door. It was a policeman. He said that they had received a complaint that we were doing some strange things in our apartment on Sunday mornings. The complaint also claimed that we had killed our landlords and hidden their bodies in one of our rooms. We called one of the mothers that attended our meetings, and she talked with the policeman. He said that he would come on Sunday morning and bust down our door to find out what we are doing. The mother sweetly replied, "You don't have to bust the door down. We will open it for you and invite you in. You are more than welcome to attend any of our meetings at any time." He never came. He suggested we get approval from the juvenile department of the local police station since we had children and youth in our meetings. The next day we sent our interpreter to the juvenile department. When they realized who we were, they were happy to meet him. Some bad boys in our area had told them about us. They were coming to our meetings. Jesus had changed their lives, and the juvenile department had witnessed it. They gladly wrote out a certificate of approval for us. A year later, a policeman walked up to me on a Wednesday evening while we were having Game Time outside. He told me that some neighbors had called with complaints about us. I stopped him, "Wait here, I will be right back." I ran up to our apartment, got the certificate of approval, ran back down, and showed it to him. He looked at it, apologized, and walked away. A year after that, the same thing happened again. Obviously some of our neighbors did not appreciate what we were doing. By this time we were training young men and women to serve God and turning various responsibilities over to them. After three years of meeting in our apartment, we were able to buy a building. 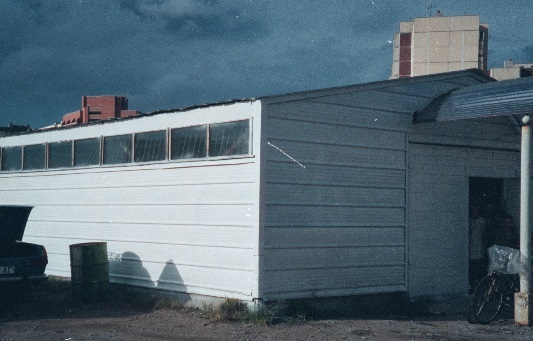 The first day after finishing all of the paperwork and paying cash for the building, we were in the building planning the remodeling. There was a knock at the back door. When we opened it, a young man from the local mafia came in. He explained that I had to pay him $300 a month. I told him to leave. After that he parked trucks around our building and tried to make our life miserable. We continued on. In a year our land contract had to be renewed with the city (the city owned all land in the city, they owned the land under our building). 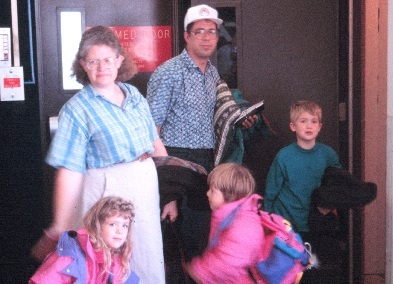 My family and I were in the United States on furlough. Our Russian leaders appeared before a city committee. The committee claimed that I was a drug kingpin and our teenagers were selling drugs out of the building. They refused to extend our contract. In six months the police came and sealed our door shut. We were forced back into meeting in apartments. 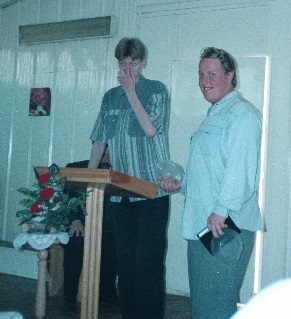 In 2002 we turned the ministry over to two of our leaders, Sergei and Vitaly, and moved back to the United States. They still run the ministry today. In the United States a church in rural Kansas hired me to be their pastor. My software business was still providing a good income for us. In 1993 I had given up a good job to go to Russia, and through my software business, Jesus had given me back over a hundred times more. Jesus promised this in Mark 10:29-30. Is this just a coincidence? I don't think so. God is real and His Word is real. A major goal in my life has been to know the Bible. Because of this, I have read, studied, and meditated on the Bible daily or almost daily since I was young. My seminary training gave me advanced tools to help with this. Through the years, I have learned a lot about the Bible. One thing I learned was that I did not know many of the Bible's words and some did not mean what I thought they meant. I had grown up with the Bible, but I did not know its words. To help me with this, I researched Bible words and came up with modern-day synonyms for them. One day as I was preparing a Sunday School lesson, I was having a hard time understanding a certain passage. The words were hard. An idea popped up in my mind, "Replace the Bible's words with your modern-day synonyms." I did. I wrote it out. When I read it, I was surprised how clear the meaning was. I knew I was onto something. Not long after that, I was at a week-long family reunion. In my free time, I started translating First Corinthians from Greek using my modern-day synonyms. After I returned home, I continued this work. Seven years later, I finished the New Testament. During those seven years, I spent a lot of time with the Greek text, asked God for wisdom many times a day, made numerous discoveries, and wrote a literal translation of the New Testament unlike any other. It is called the Breakthrough Version. That was not the end of writing the Breakthrough Version. I had hoped that it was, but God pushed me back to the Greek text showing me many things that needed to be improved and showing me how to make it even more literal to the Greek (the first edition was already much more literal than the KJV). I went through the Greek text verse-by-verse two more times. After two years I published the second edition and a Textus Receptus edition called the Breakthrough KJV. God then turned me back to the Greek text again for another trip through the New Testament (the greatest learning I have received in Greek has been from translating through the New Testament) and a year later, I published the third edition. I have trusted God and His Son, Jesus, most of my life. And for most of my life, I was in the dark. I did not understand what God was doing or why He took me to the places He took me. Today as I look back, I see that He was guiding me, educating me, and equipping me to write this New Testament. Each area of my life points to that. For example, when I studied in seminary, I not only majored in New Testament Studies, but I also took additional advanced Greek classes. When I taught myself to write computer software, God was teaching me how to think about and explore a hard unknown topic until I understood it. This allowed me to break new ground in translating the New Testament. I was also able to write special software that helped me translate. Then there was Russia. Speaking Russian gave me a more intimate knowledge of New Testament Greek because the two are similar in structure. Where will I go from here and how will I get there? I don't know, but God knows. I am trusting Him. "Without trust it is impossible to be very satisfying to Him. You see, it is necessary for the person who comes to God to trust that He is and He becomes a payer of earnings to the people searching Him out." (Hebrews 11:6 BV). Click here to TWEET a link to this article. - on your page in Facebook or in Twitter.